The Republic of Moldova is a small country, favorably situated in the Southeast part of Europe, neighboring Romania to the West and Ukraine to the East. This piece of land boasts a rich history, abundant in dramatic and agitated events. Moldova is a European Country, which has a rich ethnic history. The majority of the population are Moldovans (Romanians), but the following national minorities live on this territory too: Ukrainians, Bulgarians, Gagauzians, Russians, Germans, Greeks, and others. 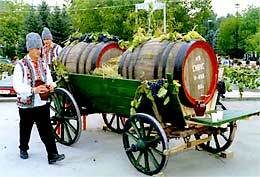 In Moldova many traditions are centuries old. It is hard to believe that the multi-ethnic character of the country still exists within the popular traditions. What’s more it has enriched them with new qualities, giving them a new colour and transforming them into an original bunch of customs, rituals, and folklore present in Moldovan villages. In spite of the differences of nationalities, the people here have the most important quality – Hospitality. In Moldova every guest is received with a special warmth. "Chisinau is a significant administrative, political, economic, scientific, cultural and touristic centre of the Republic of Moldova. 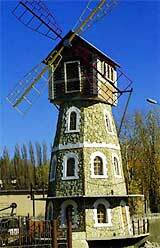 The first historic record of the name Chisinau goes back to July 17 1436. The name derives from a word meaning “spring, pump, pipe”. Bank clerks in Moldova have been told not to make eye contact with customers after a string of robberies by a hypnotist. The robber reportedly puts cashiers into a trance before making them hand over tens of thousands of pounds. Local police said the criminal, who they believe is a trained hypnotist from Russia, begins talking to bank tellers and gradually hypnotises them. He then gets them to give him money before bringing them back out of the trance and leaving them with no memory of handing over the cash, Russian media reported. Officers, who are still looking for the man, said he took more than £20,000 in his last robbery.